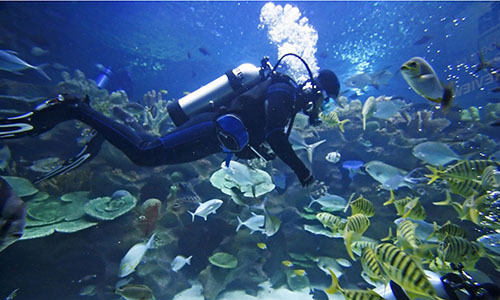 “I dived overboard and into the most astonishing of swimming experiences. As my body hit the water, it exploded in light, streams of scintillating green and blue sizzling from my fingertips and sending out great curving constellations of phosphorescence. Diving down I blew bubbles and watched as they were lit by the same eerie light. Further below were strange discs of light – fish? – and other fractal flashes in the gloom. After a long and unearthly swim through this cosmic cloudburst, I climbed out on the deck and lay down for a star bath”. Kevin Rushby, while travelling with AB and writing for The Guardian Newspaper. 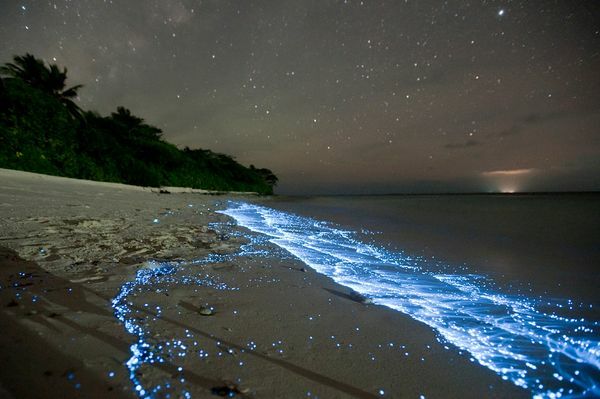 Come to Belize and witness the unearthly and mesmerising Bioluminescence, a phenomenon that occurs when marine bacteria, plankton and certain marine life release a chemical called, appropriately, luciferin. Scientists have discovered various reasons why this occurs, including communication in order to find a mate, locating food, where certain fish species use their light like a spotlight to find prey, camouflage, where some species produce spots of light on their to blur their outlines and allow them to blend in with the light from above and finally, self-defense – where some animals release a cloud of bioluminescent fluid, similar to the way squid defend themselves with a cloud of ink. The phenomenon can be witnessed on a night snorkel or night dive in Belize, contact us for more information or to plan your swim with the underwater cosmos now!